Here's a freebie beginner math skill! 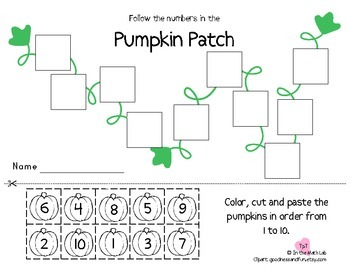 Color, cut, and paste the pumpkins in order 1 to 10. ❤ FOLLOW ❤ my store to get new product discounts and exclusive freebies just for my followers.